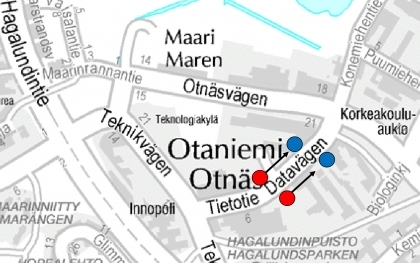 The "Tietotie" bus stops E2218 and E2219 on Tietotie in Otaniemi will be relocated on Friday 21 October. The new location will be in front of the western entrance to the Metro station. The stops are served by routes 10 and 195N.